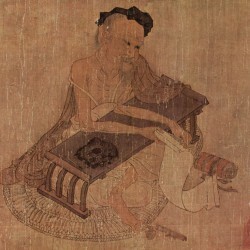 Ou-yang Hsiu (Ouyang Xiu ; 1007-1072) was born on the Western frontier of Sung (Song) dynasty China, and though his father died when Ou-yang was only 3 or 4, because the rise of printing in the early Sung made the Confucian classics available at a price affordable even to persons in straightened circumstances, he was able to prepare for the Imperial Civil Service Examination, largely on his own, and attained the highest degree at the age of 22. 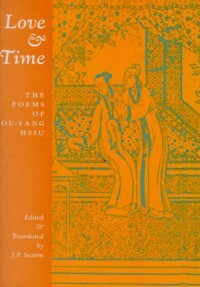 Ou-yang had a long and eventful political career, but here I am interested in him as one of the most highly regarded and influential poets of the Sung dynasty. I have written in other reviews about the obstacles and challenges of translating classic Chinese poetry into modern English and why I continue to enjoy what is not a perfect, but, nonetheless, a real communication with those authors. The translator of the poems in this book, J.P. Seaton, has followed Ezra Pound's lead and has rendered these poems as modern American Imagist-influenced poems. They are lovely, and because these are the first poems by Ou-yang I've read, I am unable, as yet, to compare and contrast and try to find a common core. But these versions are more than enough to assure my interest in exploring Ou-yang's life and work in greater detail. and rain again from lotus leaves. for the moon to bloom. to peer in at the ridgepole. hung from the curtain rod. still waves, the wrinkles of the coverlet. on one, a hairpin fell. clear skies fill the eye. flit up and down together. my horse's hooves tread spring land's green. the past so far, so far. the line of mountains stands unbroken. to find a crook of rail to lean on.